Jim Bennett speaks to reporters alongside United Utah Party chair Richard Davis on August 3, 2017. 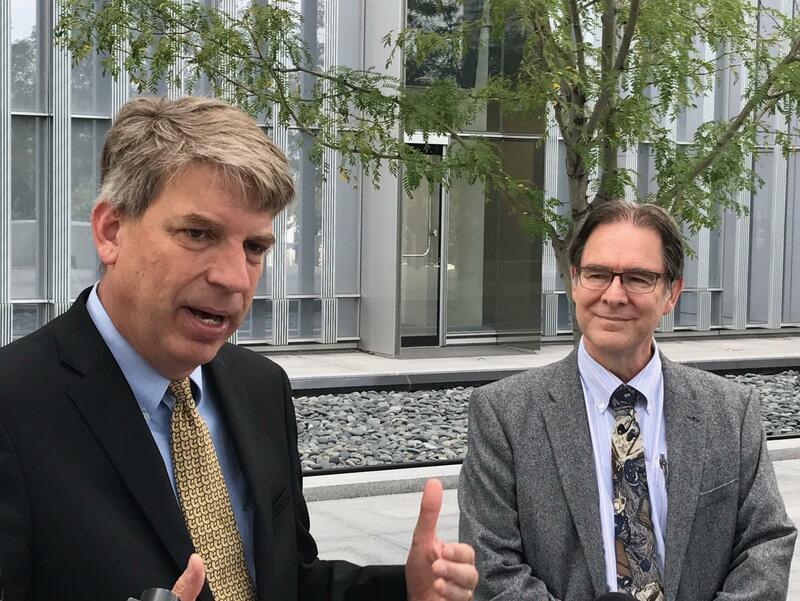 A federal judge has cleared the way for the new United Utah Party and its candidate Jim Bennett to be included on the ballot in the 3rd Congressional District’s special election, but its prospects of winning remain slim. Bennett says the legal uncertainty surrounding his congressional bid has made it difficult to raise money and build a campaign, but he’s still forging ahead. 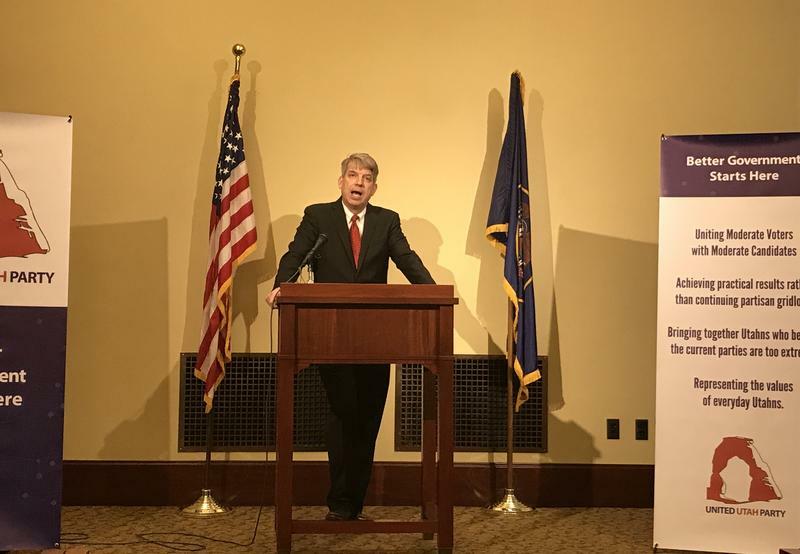 Bennett and United Utah Party chair Richard Davis addressed reporters on Thursday, a day after judge ordered the Lieutenant Governor’s office to include the new centrist party on the ballot. Bennett says he’ll focus his campaign on health care, public lands and immigration — issues he says that Republicans have failed to find solutions for. Bennett has pitched the United Utah Party as an alternative for disaffected, anti-Trump Republicans and moderates. “The fact is, the party of Trump is wildly unpopular, and people are looking for an alternative, and I am that alternative," he said. Bennett is the son of the late Sen. Bob Bennett, a Republican who represented Utah in the U.S. Senate for almost two decades. He was ousted during the Tea Party wave of 2010. Bennett faces a significant cash disadvantage. His says his campaign account has less than $2,500, far less than the Democrat and Republican candidates in the race. He says his goal will be to continue to generate publicity for the party and poll well enough to be included in upcoming debates. Bennett will face Democrat Kathie Allen, four other minor party candidates, and the winner of the August 15 GOP primary. A federal judge has ordered the state to put candidate Jim Bennett on the ballot for a special election to replace former Congressman Jason Chaffetz. 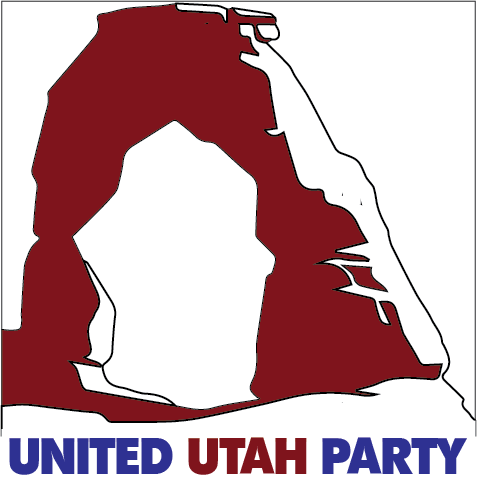 State election officials have given an initial OK to a new centrist political party called the United Utah Party — though a lawsuit over its ability to run a candidate in the 3rd Congressional District special election is still pending.